Those of you that know me, may well know that I take a perverse amount of pleasure from the list of films that everyone has seen that I haven't seen: Grease (although I have seen Grease 2 starring Maxwell Caulfield and Michelle Pfeiffer, and I just plain don't see how it can be topped), Titanic, ET, Close Encounters of the Third Kind, Dirty Dancing, Ghost.... that kind of thing. 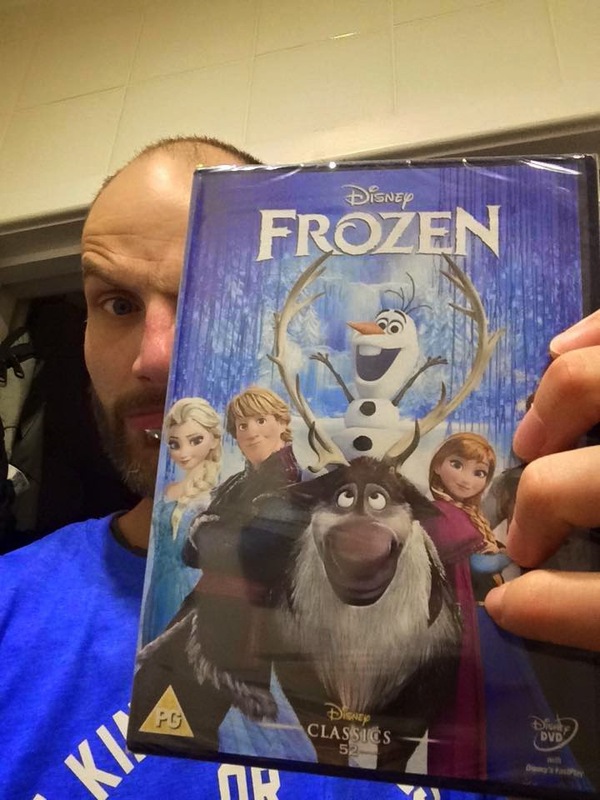 Frozen is also on that list. It really isn't that much of a big deal, except that as the film has become more and more successful, it's a cultural reference point that I simply don't have. But I'm a 41 year old man and I don't have any children: why would I watch it? So why do people think I'm weird for not having seen it? Wouldn't it actually be weirder if I had? Kind of like those guys who know all the words to "I Will Survive", because they think it makes them more attractive to women and definitely NOT creepy? It's creeping up on me though. First, I saw that a "Frozen Heart" / "Let It Go" medley was on the setlist for the summer season at choir (although, all Disney princesses are sopranos, so I'm not entirely convinced their will be all that much in the voice part for a bass to get all that interested about). Amazing though it may seem, when I saw that, I still hadn't even heard "Let It Go".... and then over Easter, I caught the last five minutes of a countdown programme on the telly listing the best ever Disney songs. Somewhat bizarrely, this was hosted by Jamie and Louise Redknapp, and when I tuned in, they were just finishing off "Whole New World" at number 3, playing "The Bare Necessities" at number 2 and finishing - inevitably - with "Let It Go" at number one. Leaving aside the fact that two of the top three are completely wrong, this was the very first time I had actually heard this song all the way through. Well, it's no "King of the Swingers", is it? I'm not even sure it's a "Chim-chimerney" either. Oh, my friends are such a scream.